To achieve the technological processes of heat transfer from one heat agent to another Comes can fabricate various items, under generic name of heat exchangers. For storage or transport of liquid or gaseous fluids such as basic, intermediate or final material, COMES S.A. fabricates a large range of items. Tube bundles can be with floating head, tube bundle U type and tube bundle with stationary tube plates. Columns are chemical equipments used in fractionation, distillation, adsorption operation, etc. during technological process. COMES will attend in between 23-26 April at the largest international exhibition of industrial equipment and technologies MIOGE 2019, in Moscow, stand no. A7097, Pavilion 3, Hall 13. Exhibitors are local and international manufacturers and suppliers of industrial equipment and technologies, as well as oil service companies interested in using effective tools to directly attract new customers from oil and gas producing regions in Europe. COMES management is honored to represent the Romanian Association for Pressure Equipments as ARPE Vice President. Topics such as business growth, technical knowledge, market intelligence, new supplier identification, networking, visibility, commercial awareness, new standards, codes and regulations, partnerships on joint initiatives are just some of the important issues ARPE engages in meetings and training programs. 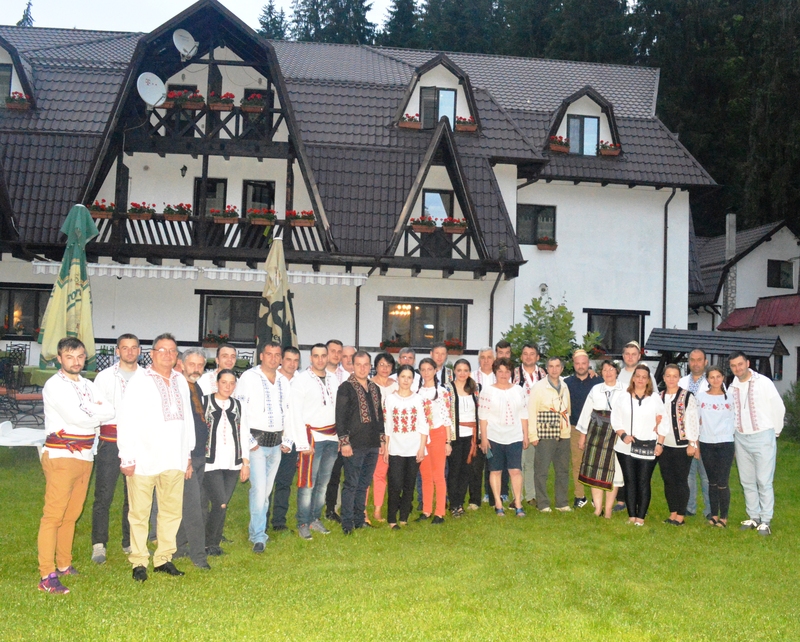 On the occasion of the 100th anniversary of the Romanian Great Union, and the 40th anniversary of experience performance in the production of pressure equipments, COMES celebrated this special events, exclusively dedicated to its employees, organized within a teambuilding, through which the company advices to have the courage to try new experiences with responsibility. Founded in 1977, under the name of Mechanical Plant of the Chemical Complex of Synthetic Fibres and Yarns Savinesti (UMCFFS), it was created as a supplier of equipments and spare parts for Savinesti Chemical Platform. Comes have succeed to answer at the most demanding industrial standards, being authorized to manufacture equipments according to the most important national and international norms (ASME, CNCAN, PED 97/23 / EC, ISCIR, Clasic and Nucleare firlds, etc. ).